I love music and I imagine you too, everyone loves music. I just want to share with you something that made me very happy: Being able to stream Spotify through some good old Speakers. Long ago... my uncle who loves music as well, explained to me that the secret is in the speakers. No matter how good your Hi-Fi equipment is, no matter the features, if the speakers are no good then it´s a no-go. When I got my first proper job and saved some money, I bought a good pair of speakers which I still take care of as much as I can. They are hand made and sound great. The best musical investment I´ve ever made. So, that´s the first step: Get yourself a good pair of Speakers. Or at least spend most of your budget in them. A good set of speakers need to be paired with a good receiver-amplifier. 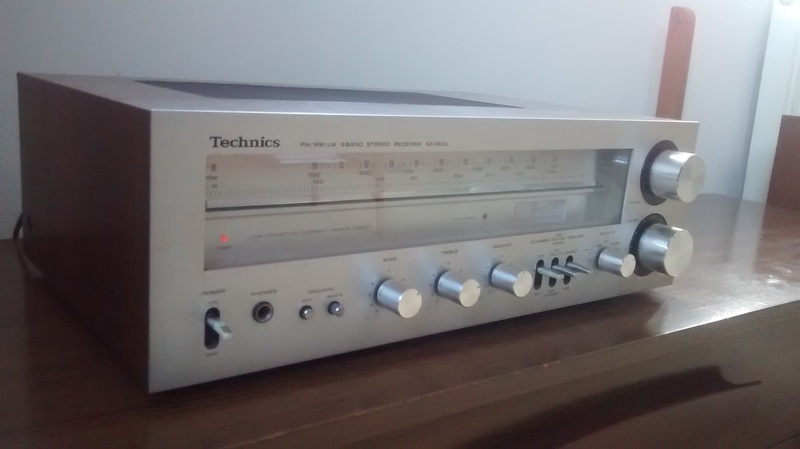 Now, you don´t need to spend your cash in the latest gadget because old receivers can surely get the job done. 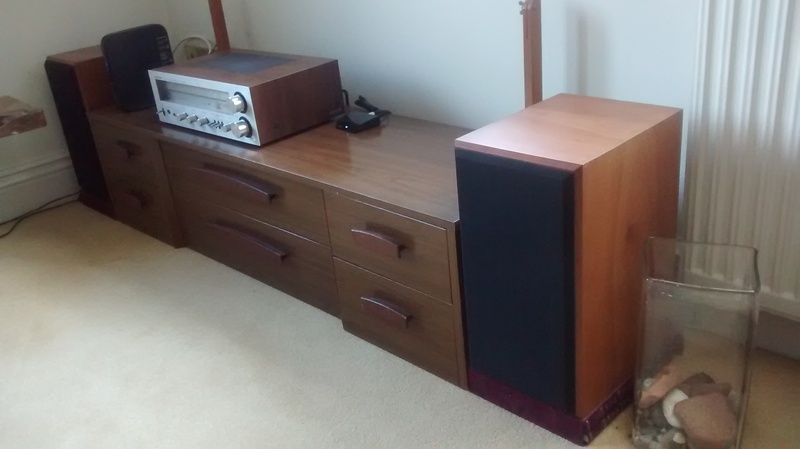 I got myself a vintage Technichs SA-200 from ´78 that looks awesome and sounds best for £40 on ebay. It has all the knobs and lamps that you need, even a wooden cover that matches my furniture. You can find yourself a nice vintage reciver in your local fleamarket for cheaper. Go and do some gold digging! Besides, it´s all about the bass. Now, we leave vintage town to get to the techie bits... We all know that bluetooth streaming is not that good. But there are some improvements being done, specially with the Aptx codec, which suposedly reaches near CD quality. For me it sounds beautiful but I´d let you discover that for yourself. The thing is that you need an Aptx enabled device to stream and another to recive. It could be a phone, a computer or tablet (Imac and Macbook have Aptx too). 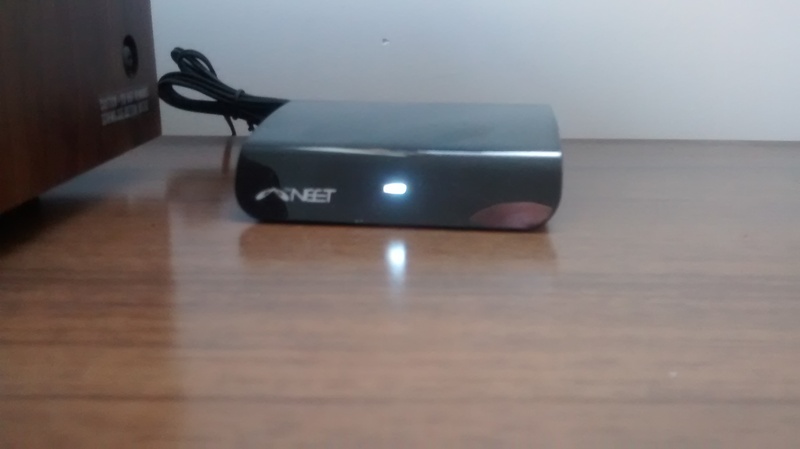 So I got myself an Aptx enabled phone on ebay for £40 and the Neet bluetooth receiver. The reason I chose the Neet is because it has a great digital to analog chip. When you get your bluetooth receiver, make sure it has a good digital to analog converter (DAC). The Neet uses the Wolfson converter and works like a charm so far, but do your research! Mix all these ingredients with some good cables, don´t use cheap plastic! you can get yourself some good cables at amazon. Get yourself a good streaming service, Spotify sounds good but if you are an audiophile, take a look at Deezer, or better yet Qobuz that streams True CD quality (FLAC 16-BIT/44.1kHz). For £20 a month it´s pricey but it´s worth it. I´ll surely give it a try. Pair your device and we are good to go!! My advice: Distance can limit your experience… Try to have your streaming device near the receiver. That´s all!